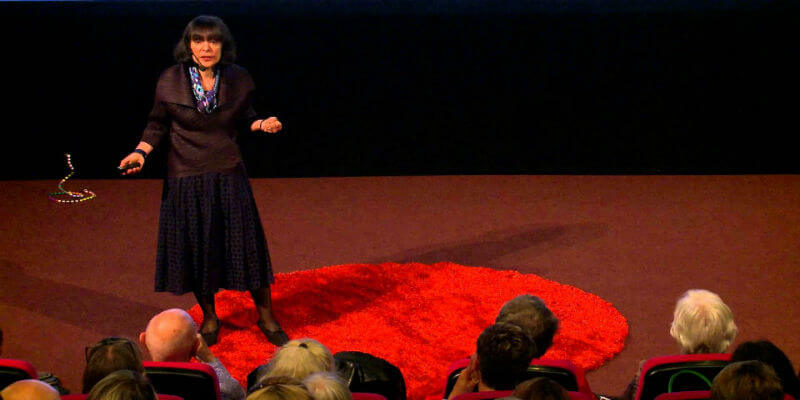 On Stage, Carol Dweck. Image Retrieved by URL. What is the determining factor that leads people to become successful? Is it merely hard work or is it being intellectually superior or talented in certain areas? According to the world-renowned author and professor Carol Dweck, it has more to do with an individual’s mindset or beliefs about themselves, rather than about how smart they are or how hard working someone is. Working hard is certainly a prerequisite to success, but only to a point. If you have a negative belief about yourself, like the idea that you cannot do something because you are not ‘smart’ enough, no amount of hard work is going to bring you success in life. However, certain mindsets can allow you to achieve a higher degree of success. Take it from one of the leading researchers in the field of motivation. Dweck is a psychologist who has done extensive research over the last 30 years on the cause and effect of how one’s thoughts catapult them into success or inadequacy. The path people choose, according to Dweck, has a lot more to do with attitude and perceptions of ourselves. As a professor of psychology at Stanford University, Dweck has a Ph.D. from Yale and has taught at some of the most prestigious colleges around the country, including Columbia and Harvard Universities. Her book, Self-Theories: Their Role in Motivation, Personality, and Development was awarded Book of The Year in 1999 by the World Education Federation. Her newest book, Mindset: The New Psychology of Success explains why intelligence and talent do not automatically bring success. Dweck explains that it’s less about intelligence than it is about a person’s mindset; their belief, attitude or outlook about themselves. She also explains that intelligence, as well as abilities or talents, are not merely a result of being “born that way.” These attributes are not fixed or settled and are not the determining factors of success. In her book “Mindset,” she explains that people maintain two different types of views on ability and or intelligence. The first view is the ‘entity view’ that says intelligence is immovable and established. Those who hold this idea have an elevated craving to prove themselves to others; to be seen as intellectual and to avoid at all costs, appearing unintelligent. This self-theory can actually prevent a person from becoming successful. The second view is the ‘incremental view.’ This belief treats intelligence as malleable, fluid and constantly changeable. Those who hold this view find fulfillment from the learning/growing process itself and also see the potential for prospects to continually lead to better opportunities. They don’t focus on what the outcome says about them, but what can be achieved from taking part in an endeavor. Dweck herself has credited her discoveries and research to her own success of becoming a prestigious psychology professor, author and professional woman. She is one of the leading motivational researchers in the world, whose written works and lectures have inspired many to find success using positive ideas about what motivates us. Please leave a comment below, and let us know how any of these videos relate to your experiences or studies. We would love to hear from you. We need more people like you questioning assumptions and demanding to see more evidence. How else can we sort the science from the snake oil? Having said that, if you want to know more about how control and autonomy impact physical health (i.e. the subject of the Langer study you have referred to) the best study I know is the Whitehall Study in the UK. This long-term study has followed the health of more than 18,000 British civil servants working in various grades of seniority since 1967. The study has consistently found control and autonomy, or lack of, impacts heart disease and stroke more powerfully than the actual demands a role places on health. The results have been published in the most prestigious medical journals including ‘The Lancet’, although I prefer this user friendly summary here. Link. Keep researching. You’ll find positive psychology is an idea whose time has come. I can understand your frustration as there are many of new-age things coming out now that don’t have a lot of scientific evidence to back it up. But, people follow it religiously and develop a very narrow-minded view and black/white thinking. But, this is not that. Positive psychology is about the science of happiness – we have a model for understanding mental illnesses, so there is also a model for mental health. Most people don’t want to go from depression to “normal”, they want to feel happiness. So, people have developed techniques to make people flourish, thrive, and have an overall increase in wellbeing. 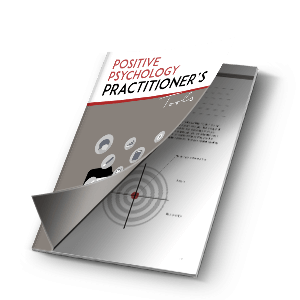 This is what positive psychology practitioners, researchers, and coaches work with their clients on.